At a recent campus Bible study, a young women had an especially helpful insight for Christians on a college campus. She noted the stress and anxiety of being a college student. In every class, grades are taken, evaluations are being made. You work really hard to pass classes and impress teachers, to carry your weight on group projects, to work enough hours to pay your bills. So much depends on you. For her it was so refreshing to come to Bible study and be reminded of the one thing that doesn’t depend on her at all. Her faith in Jesus wasn’t her decision, it was a miracle of the Holy Spirit through water and the word. Her redemption doesn’t depend on her, she was set free from sin and Satan when Jesus died on the cross and rose from the dead. The ability to share Jesus with her friends doesn’t even really depend on her, she is simply joining Jesus on his mission - the same Jesus who promised to be with his people always as they share his comfort, hope, and peace. We sighed, we smiled, we agreed. In a world, where it seems like so much depends on how dedicated you are and how hard you work, it is refreshing to hear again how everything needed for us to have peace with God forever has already been done by Jesus. The pressure is off. Do you have friends that could appreciate that concept too? Without being a pushy “Jesus salesperson,” this might be one way for you to share the peace that comes from Jesus in a world full of stress and anxiety. The topics of spirituality and God's plan for your life are popular. How many times a day do you see memes flash before your eyes with interesting quotes about being #blessed, or #JesusCalling or sharing reminders for you not to swipe God's pen when he's writing your story? Perhaps friends are exploring different ministries that seem more spiritual, relational, energetic, make a bigger impact, or just "get it?" How do you know which of these Christian trends are solid gold and useful for growing your faith? How do you discern when an idea might end up undermining your confidence in the gospel and your relationship with Jesus? This semester, we will take a look both at spirituality and the will of God. What does the Bible say on these topics? Thankfully, Jesus knew there would be times when spiritually themed myths would have great appeal (2 Timothy 4) and has told us exactly what we need to navigate these situations. Let me begin with one important insight into the "will of God," an insight into the heart of God. God tells us this about himself: God our Savior wants all people to be saved and to come to the knowledge of the truth (1 Timothy 2:3,4). 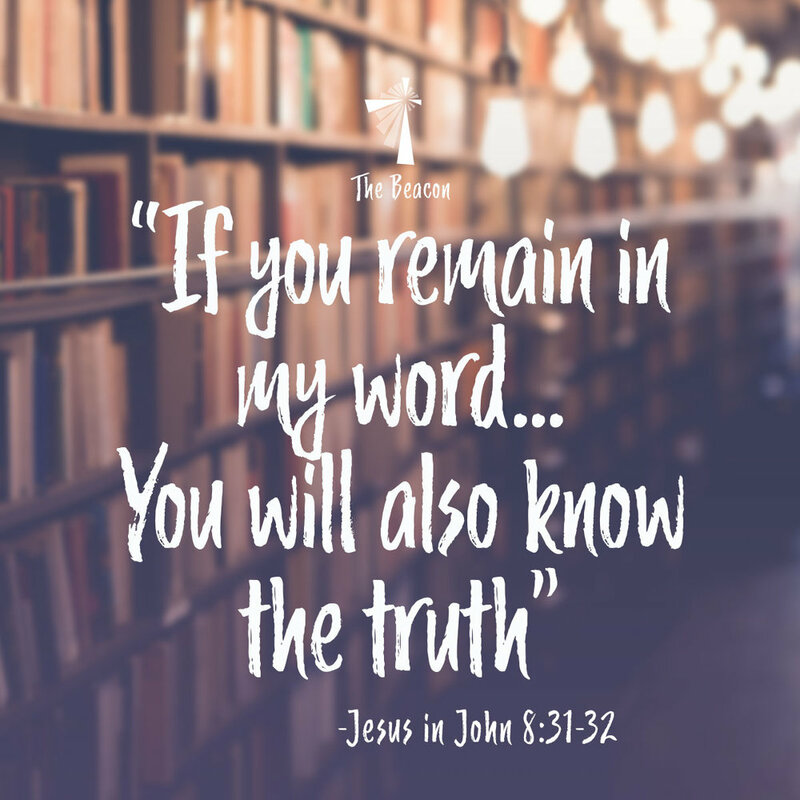 It's God's will, his deepest desire, that everyone hears the beautiful truth of his word, his love, his forgiveness, and that they are saved and free with him forever! It is God's will that you are his. No doubt about it. In this chapel series from 1 Corinthians. We will see what it means to be spiritual. We’ll especially see how the Holy Spirit works among a whole community of believers to build us up, so that we can encourage others.